The other night I was going back through some old tweets. I came upon my entire livetweet of the Grand Rapids TOSOD show that I attended in early October, 2010. I didn’t realize I sent so many. I KNOW I have a twitter addiction, but this was ridiculous. I know I already wrote a recap of this show a long time ago. But these are tweets that were written in the moment, most were written with David in front of me, singing and jumping and having a blast. Right now, memories are what we have. So I thought I’d share mine. The day started out cold and rainy. I couldn’t get out of working that Saturday. I DID leave work 2 hours early. Got home, changed, grabbed my camera, hopped in my car. Started backing out of the driveway and my car decided to die right there. I found the area and the soundcheck was starting. These are the tweets I sent. I am leaving in all of my errors. I was standing in a crowd of 20 thousand people. This was the beginning of TOSOD. And ALL of these people got into it. Man, woman, child. Didn’t matter. RT @betsyjane25: Where is the moshpit hospitality? RT @betsyjane25: Band is back! 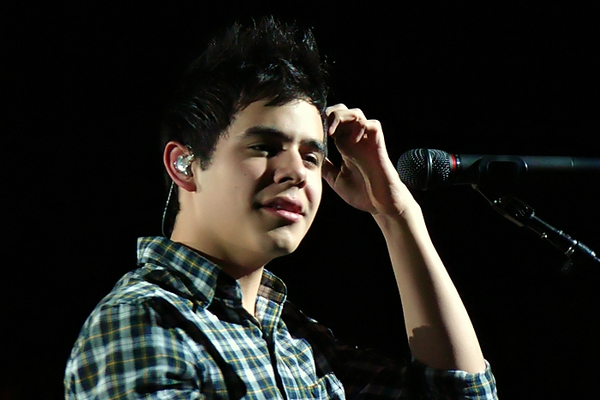 @ZachLeipham: The guitar player in David archuleta’s band just ripped a sick pinch harmonic in ballad-ish song. RT @betsyjane25 Now I have to remember where I parked. 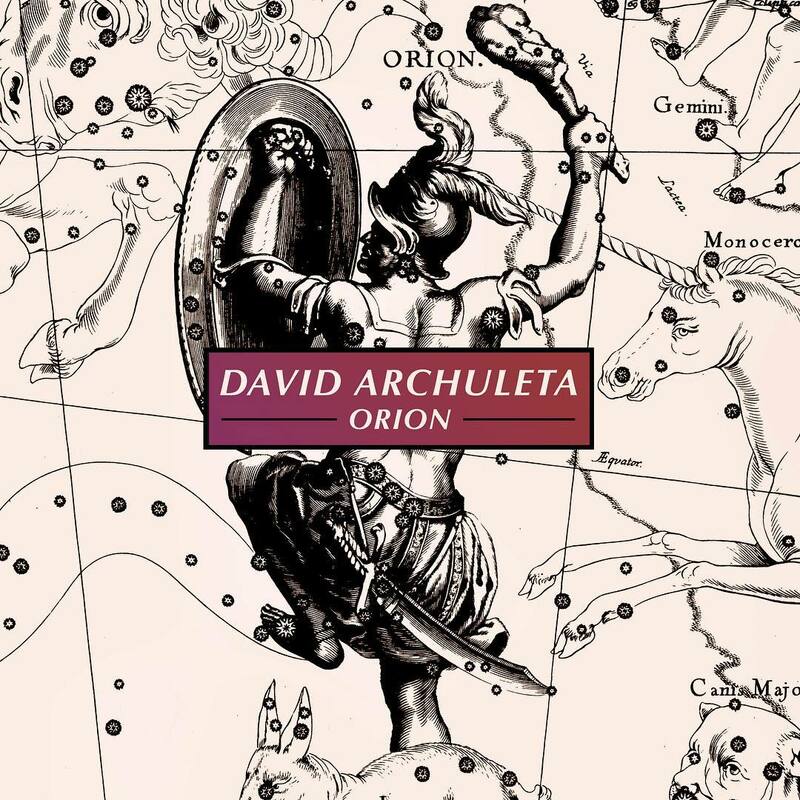 This entry was posted on Friday, October 12, 2012 at 11:51 AM	and is filed under David Archuleta, fandom, The Voice. 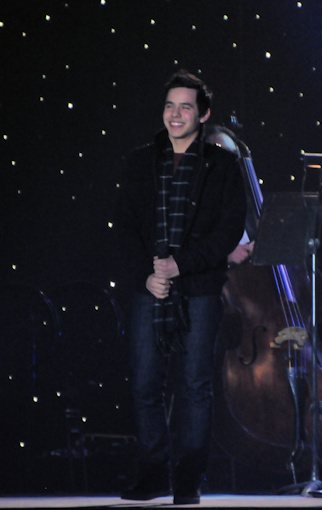 Tagged: ain't ODD grand?, confessions of a twitter-archuholic, David Archuleta, Grand Rapids. You can follow any responses to this entry through the RSS 2.0 feed. You can leave a response, or trackback from your own site. Betsy – Thanks for sharing your experience! What we will do for David! But it was fun, wasn’t it. You look back on these types of memories and they are the best. Its great to have your experience in twitter archive to remember. OMGoodness! I was smiling the whole time I was reading – esp the cra-zeh tweets! The thing is, how the heck do you tweet while in the moshpit???? That’s insane! Betsy!!! I remember this concert like it was yesterday and I wasn’t even there! lol I’m with JR on how do you tweet while in a moshpit??? 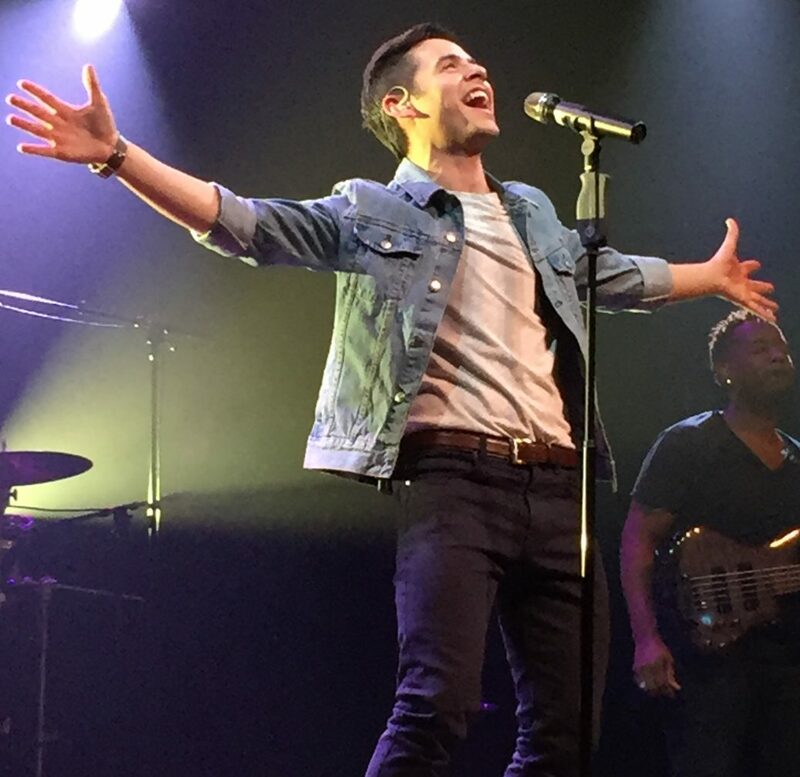 The chants for a David encore…I LOVE THIS!!!! Mlp – I love this memory, and to think I almost didn’t go. Well, I’m just glad I did. Awww Sunny, I wish I’d gone with a friend! That would’ve been fun! I drove alone. I had a few friends there, but I didn’t want to cut in front of people to be up front. I just couldn’t do it. Tofan – I stole that line from Clueless. It has a line for every occasion. Dja – I just watched the Zero Gravity videos, hadn’t seen them in a long time. It makes me a little sad. Sooooo many people were loving it the music. 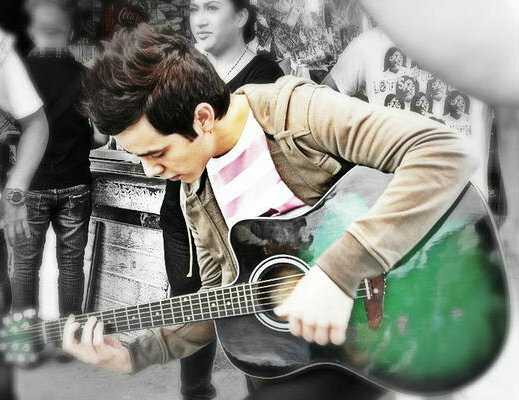 His music. He wasn’t even the headliner. So there is a guy, Harry Shum, on Twitter and he was in Glee. Or is in Glee. 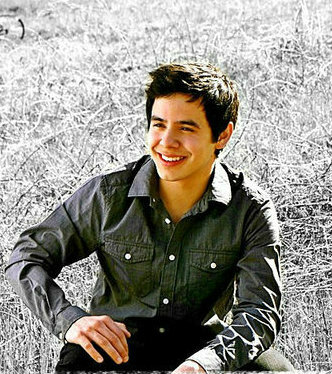 Anyway, he just tweeted out a link to David’s video of SBL. He really likes it. I checked his followers, and he has many in the industry following him. Actors, etc. Maybe this will give a little boost in sales? Betsy, The coulda, woulda, shoulda 😦 But things happen for a reason. The chanting for him is incredible. I remember reading that thousands left in droves after his performance. Great tweet find…I’m on it!!! I’d say we locate that “radio station” that taped the entire show! rofl !with the moshpit texting, and “where is the moshpit hospitality?” bwaaahaha !! So glad you had access to your hubby’s truck to get there! 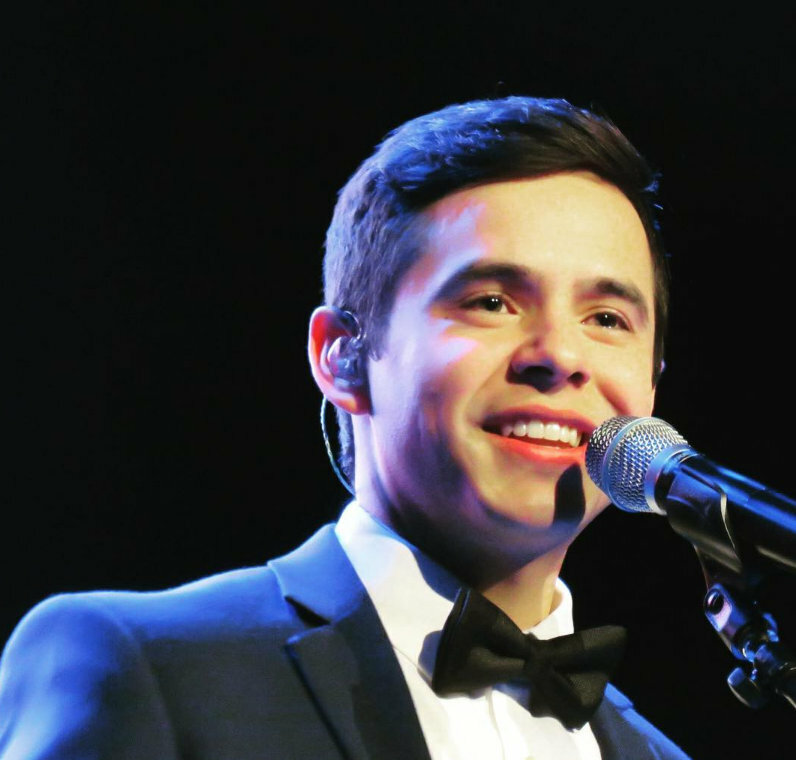 (why is it that the strangest,”oh no that’s not happening” things happen, on our treks to see David perform? what is that? car picks that time to die? (HA! Like that would stop us). ah these videos, those crowds chanting( one of the best sounds to hear, ever♥)I like seeing a distant crowd view, wow so many people that night. Dja, wasn’t he the only one that night, to have an encore? 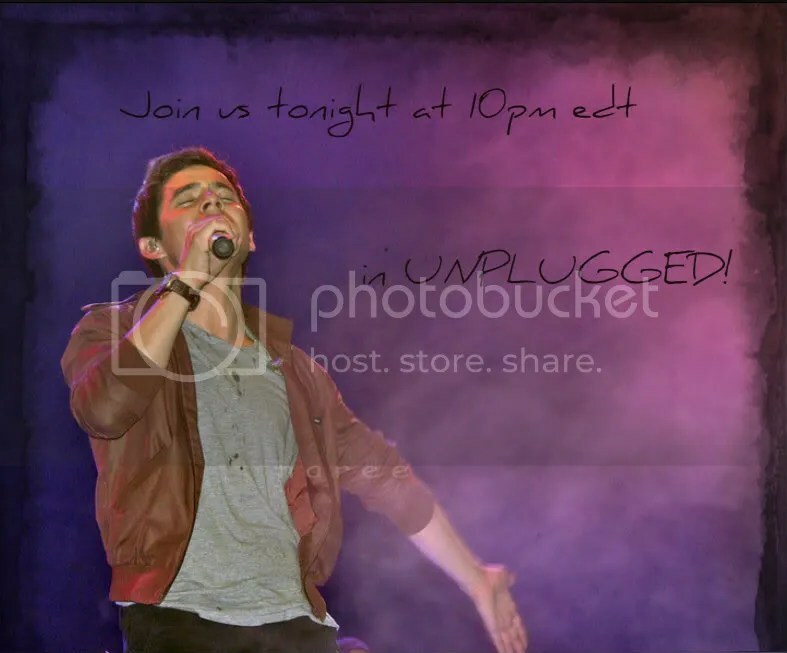 Betsy, what a great walk down memory lane!♥ Just wish all his fans could see him perform tomorrow night! Not fair!! lol Miss him so much! Off topic, but DJAfan, I never did hear anything about the cd I sent to you to go to someone in Argentina(I think that’s where it was going). Usually I hear back from the person when I donate a cd. Any info on this? Betsy, I remember every moment and can still hear the audience chanting for David! It was so fantastic to see all those people there jumping and screaming! There was one guy in front of us that was quite loud, but I didn’t let that spoil the fun! I think I was there with you for the sound check? I am magical, you know. haha Thanks for an exciting read. If you can’t be there, hanging on twitter is fun on a concert night. Thanks for taking us down memory lane with your own personal memories. I could feel your excitement and seeing it all through your eyes brought a big smile 😀 to my face!! Betsy, how lucky were you to be at this concert, maybe the largest crowd he had performed in front of (excluding national anthems), and to hear them screaming for him like that! It’s impossible to see him live and not appreciate him. That STR is one of my all-time fav performances, ROCKSTAR! and what is it about his soundchecks – they just kinda pull me in in this weird way. They seem more personal, like a little peek at him vs the performer. Idk. Like I said, weird. Gonna get my Halloween card in the mail stat! It’s hard to believe it’s been two years since this concert. You texted with me during the show and I remember all these tweets. It’s been so long since we saw a live concert. Your tweets made it seem so real. Thank for digging them out of the Twitter Archives. I know exactly what you mean about watching David’s soundchecks. It’s a behind the scenes glimpse that makes it so exciting. Thank you for this fun post, you really make me smile and sad at the same time !!! we will not see him in concert for at least 2 years!!! Hope Gladys has a safe journey, praying there’ll be some recording of some performances or all haha dreaming high here, if he sing Angel, True Colors and Broken,SOWK from BEGIN I’ll be a very happy camper 🙂 or might be dead haha!! So happy for Gladys! This time I am going to make sure I pop in here early enough and often enough not to miss if Gladys “happens” to pop into unplugged whenever that may be – I really, really want to know (and I have no idea why!) 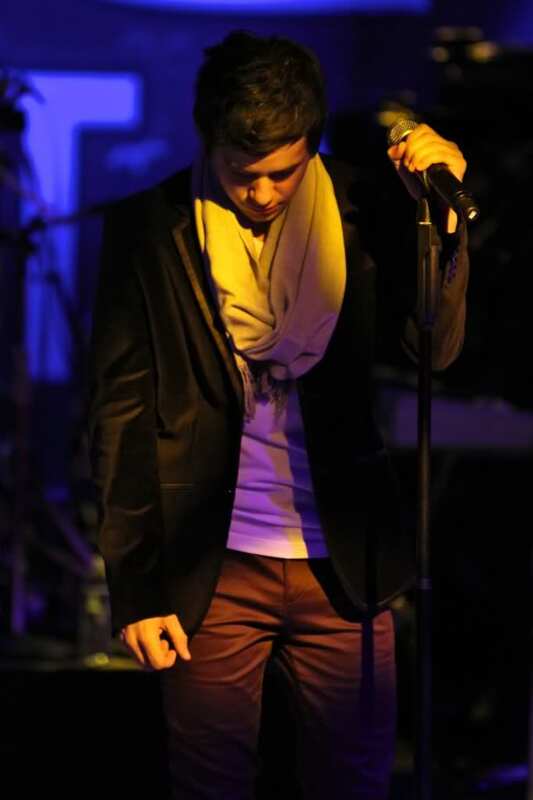 how many people were at David’s event, what he sang, how his voice sounded and on and on. I am just so happy that he is sharing that voice since we all knows how hearing it makes us all feel and I want as many people as possible to have that experince! I totally agree about the soundchecks too. I’ve always loved watching them. Gladys must be in Chile!!! Can’t wait to hear from her. Agree … I want to know all of that and more! I think Gladys said it will be around 11pm eastern time that she will probably be able to pop into chat, if she has a good connection. She is going to try. Living vicariously through Gladys, it’s all I could think about!! Gladys que disfrutes cada segundo. Aqui estaremos. Actually, I’ll take everything! or anything at all. 🙂 Pics, vids, or just gladys tellilng us all about it and us living vicariously throught her. Hoping both Gladys and David have a great time! I’ll see you there because I’m gonna be sitting in unplugged hoping for a Gladys appearance, too. Just leafing through naree’s photos, thinking of Gladys. Some of us were on chat the other night right before Gladys went to bed or tried to sleep. She’d be in Chile by now, right? Aaaaahhh so happy & excited for her! jackryan4da – The concert/devotional has been going on an hour now (its 8:00 pm. in Chile). Excited to hear what she has to say! Gladys plans to come to chat when she gets back to her hotel about 11 pm edt. Wishing her a fun night and a safe trip back. This coming from a marketing person who is used talking to all sorts. Go figure! JR, lol! and that is exactly why I have not yet met him face to face. Thanks Martha for the time. Poco we missed it. You did a great job. Love dancing David. BEST dance video ever!! Love it! When i watched that video last night I didn’t get the music connection but just now listened closer and realized it’s a classical orchestra version of SBL and wow, awesome! Where did you ever find it? That would make a great song for a movie or for So You Think You Can Dance. And of course his face there is just gorgeous & the slogan is perfect. Nice job! Thank you Dja, Abrra, Mt for your kind words :), I wonder if the concert in Chile is on right now and how our friend Gladys doing, happy for her and envy her at the same time…has anyone reminded her before she left that she has to “breath” lol..!! I am lurking there but I can’t remember how I always signed so I will just stay lurking! Thanks for doing it! Can’t wait until Gladys returns & am loving the tweets from random people. You can just type any name no need of a password, just hit enter after typing a name. i made it simple. The morning after ‘the music to our ears’. Hmmm, not much sleep. Fed the dogs, closed the curtains, now to close my mind and sleep again! A beautiful blossom is blooming in Chile. Gladys will be doing a write up of her experiences. She needs some time to rest and get her thoughts together. I copied the chat text where Djafan translated from Spanish to English. 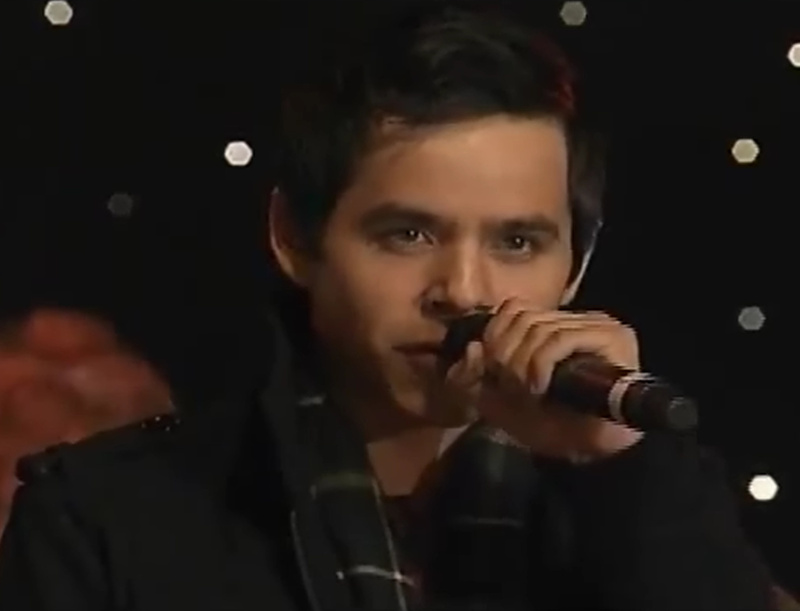 Bebe and I will put up a post soon that describes the scene and what David sang. Hang in there folks 🙂 More to come tomorrow. I missed chat ! I missed Gladys.My .power was out for hours.And the wind went after my poor leaves on my trees, and slapped them down on the driveway,and stuck them to the windows I went to bed, Cannot wait to hear all about THE concert, just have to catch up! missed everybody! 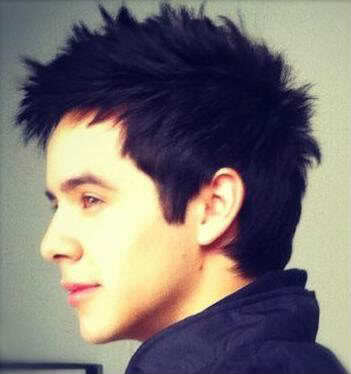 That video pic of David and Somethin’ bout Love! Holy Mackerel, Andy! gahhh, I could look at that picture all day long and then some. Thanks JR! 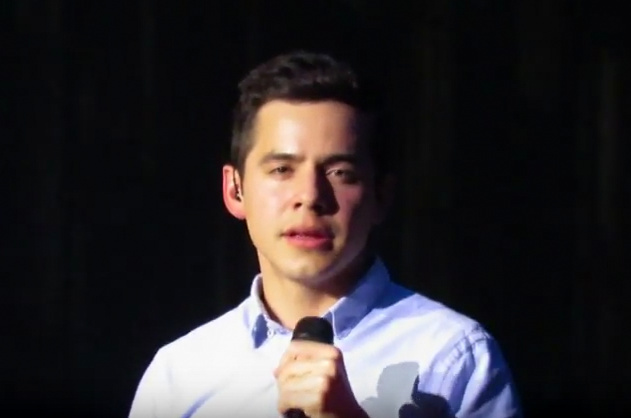 I have been watching video of other singers singing the songs David sang in Chile. 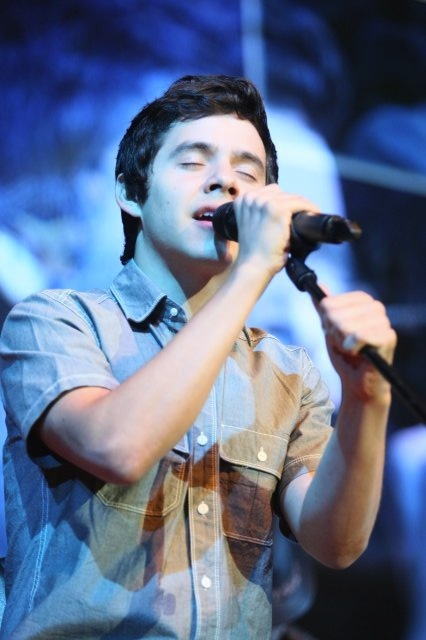 I really really wish some ninja archie took video of his performance. 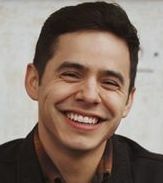 Can you just imagine David singing Al Jolson’s Rock-a-Bye Your Baby (with a Dixie melody)!!!! That’s a killer!!! Here’s Sam Harris singing that song. Is this what Gladys meant when she said David knelt at the end? Skydancer1x Glad you are safe and the storm is over! We missed you. (Maybe your area was just getting the “butterfly-effect” of DA singing “Eye of the tiger”? I can’t figure out what song “Dixie” is. But If it’s “Al Jolson’s Rock-a-Bye Your Baby (with a Dixie melody)!!!! ” OH, MAN … I would pay good money for video of that!! He certainly has the chops to sing it. Hoping some ninja out there got something, anything! Fenfan: Al Jolson went down on his knee most famously in the first full-length movie with sound “The Jazz Singer” in 1927. At the end of the movie he sings this song to his mother. He is Jewish in the story (as he was in real life) and has given up a career as a Cantor to sing jazz on broadway. Mission references (maybe….? ): Missionaries love to have fun with each other. In two of the missions my sons went to the ‘new’ missionaries are called ‘sons’ and their longer-in-the-mission field companions are affectionately called ‘fathers’. The son never forgets the father who trained him and these experiences can lead to friendships that last for many years. Also, in some missions the Elders refer to ‘old’ missionaries, those who are close to going home, as “dying”. (!!) Really, it is just their humor! Well, we have all seen the videos of anxious mothers and families waiting at the airport for the first glimpse of their returning sons. And we can relate in many ways. But for the returning elders it is a bitter-sweet time, just like leaving home was tow years before. And they do not miss a chance to rib each other about it (just as you would in a close family). So my “take” on the Al Jolson song is this: I understood Gladys to say that DA sang the Al Jolson song to the ‘older’ or more ‘senior’ of the Elders. That could mean those that were close to going home. If that is the case, I think the song he sang was “My Mammy”, complete with a full complement of “ham”. The original video is below. And the lyrics. Too funny, if that is what he did! I know where– the sun shines best! It’s on my Mammy I’m talkin’ about, nobody else’s! I’m so sorry that I made you wait! Oh God, I hope I’m not late! Look at me, Mammy! Don’t you know me? fenfan, “And what about Eye of the Tiger. Random much?”…took the words out of my mouth, lol! bluesky, thanks for the scoop! Omgosh, if that was it, hilarious! I loved your ‘twitter’ recap. I could really sense the fun, excitement and chaos. I haven’t a clue how you were able to tweet at all during the uproar. Amazing. Thank you so much for sharing that and bring those memories so completely to life for us all. 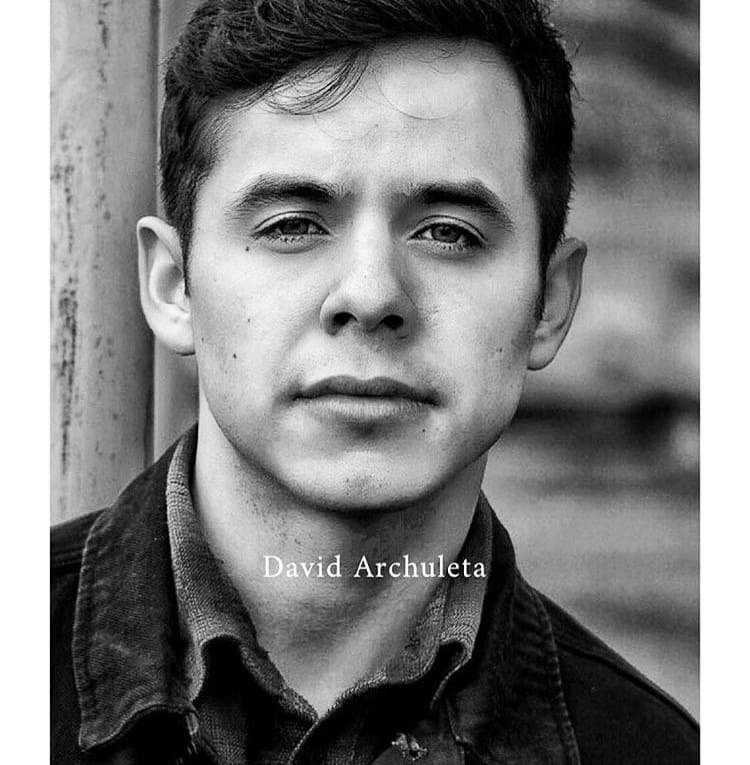 How appropriate that all of this comes under the title of your article “All Atwitter About David Archuleta” cuz we certainly are! 🙂 <<< so excited at what I heard last night! Thanks to those who helped last night. Martha for the bringing the tweets. JR for clearing up the “Rocky” song lol. It just did not compute, “Eye of The Tiger”? What the random?? Abrra, for slowing things down for me. Bebe, for interpreting my spazzing moments. And all that came, regulars and first timers for your participation. It was a blast, unbelievable. Janel cleared up the Hero song (David’s Aunt confirmed), not by Enrique or Cristina but Hero in Spanish by Mariah Carey. Djafan – Wow, what an exciting evening! I had so much fun and everyone was so nice and welcoming! 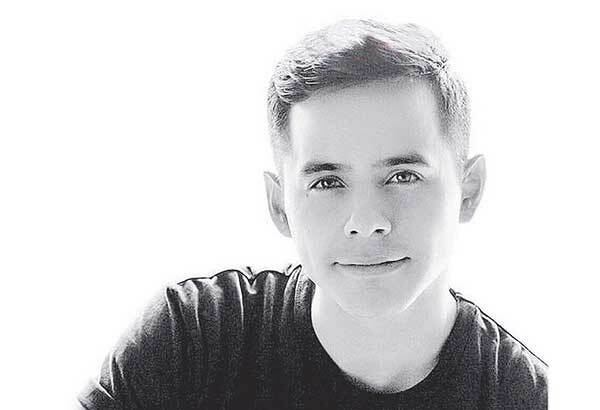 And to be there as we all together learned what our David is capable of and doing on his time away. What an exciting time for him; I am so happy for him! Many thanks to you and Abrra! – These things aren’t easy and I appreciate all that you do. 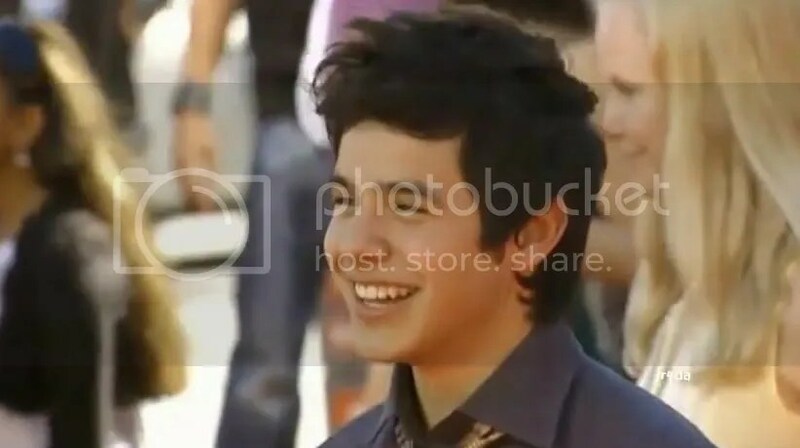 I don’t know if its been mentioned, but didn’t Gladys say he sang Heaven? Could it have been this one by the Los Lonely Boys? Everything happened so fast I’m not really sure. Thank you Gladys so much for keeeping us connected to our man. So excited to get her full recap later. One thing that I don’t remember being mentioned was how he sounded. I’m thinking magical as always. 66. — Ray, amen. Nobody could have said it better. It was a remarkable event. 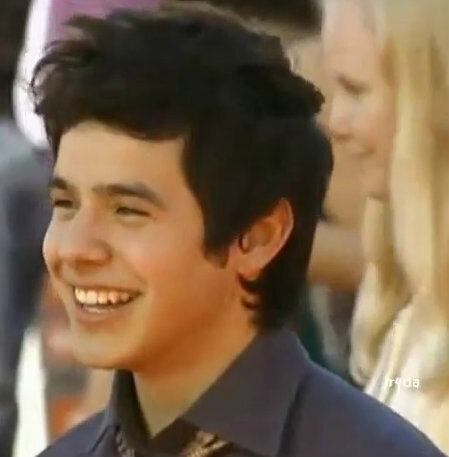 It was a joy to realize how very happy David is with his decision. God is indeed blessing him now and as He has always done. We are so fortunate to be able to have it all unfold before us. P.S. — Gracias, Gladys, for sharing with us. Thanks to Abrra and admins for making it all available to us. We love you all. Just want to say how much fun last night was! 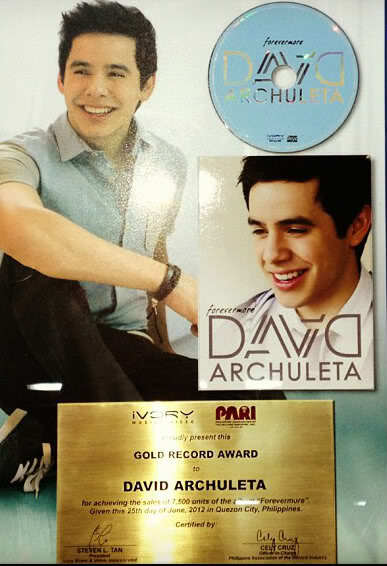 Thank you Gladys and thank you David Archuleta! 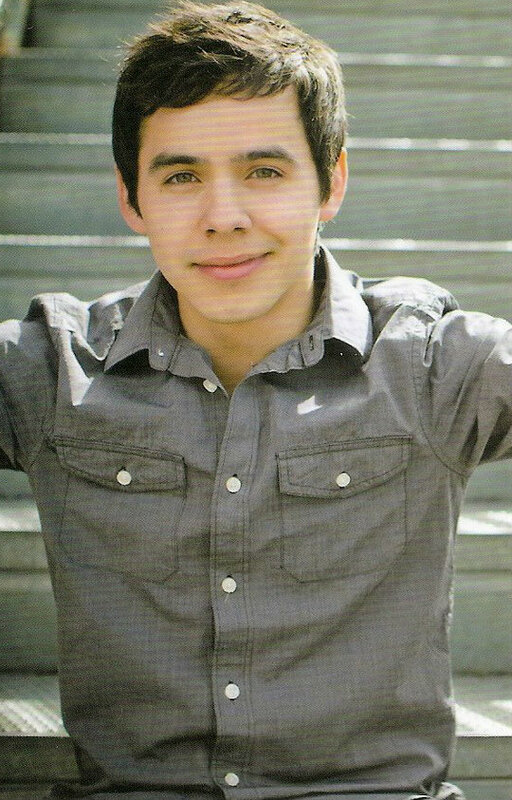 This guy never ceases to amaze me…ever! How does he keep getting better and better?♥ He showed again how a person can respect his spiritual being and still have a blast! #31 JR.. that video is awesome! 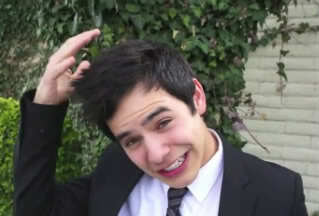 Another way of showing the genious side of David! 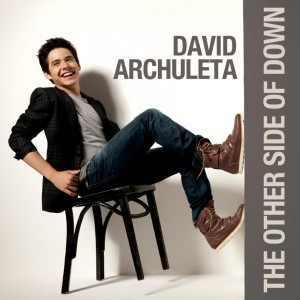 David, not only can you sing anything, you can write anything! Ray, I totally agree with you….witnessing God’s crafting and molding of the greatest entertainer and musician of all time! Love it! So glad I was able to get in with it being “sold out”! Well, I am on cloud 9 , so happy just reading all your comments about last night!! wowza! My mouth is still hanging open,lol, all these songs, so exciting.I have a gazillion questions but I shall wait…..Can’t wait to hear all about it from Gladys in her recap.So happy for you Gladys! 66. Ray, that’s an awesome statement.gave me chills :))like steno, I say Amen to that! Ray, Amen to that! 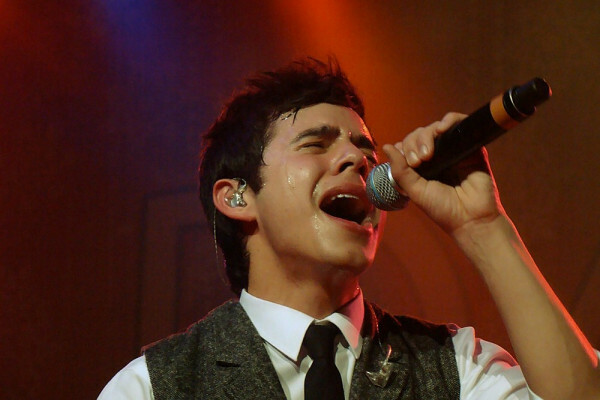 David Archuleta=greatest entertainer/musician of all time! I was excited to be in chat last night with so many others that were hanging on every word Gladys spoke! Thanks so very much to Gladys, Djafan, Abrra, Angelica and every one else who commented and kept me glued to my seat! Can’t wait for what’s next! #57 Bluesky My Mammy “with a full complement of ham.”????? That would be even more awesome than Rock-a-Bye!!! But where does the white hat come in?? 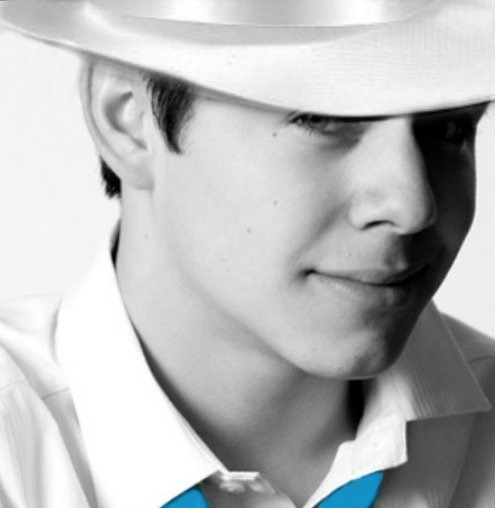 David hamming it up with a white hat! Did he blow a kiss like in that video??? Oh my…video please please please!!!!! Next David show I attend (THE NEXT ONE HE DOES IN THE US) I will try to tweet, and do a better job. This was my first attempt. What fun in chat last night. I kept wanting to jump in with major screams and keysmashes, but held off. Barely. Hope our girl Gladys got some well needed food and rest. Off topic but I just have tell you guys. I went to a movie this afternoon but before it came on David started to sing Broken. It only went on for a few seconds but it was such a thrill! Ok, carry on! I see gladys is over at unplugged or maybe that is from a while ago?